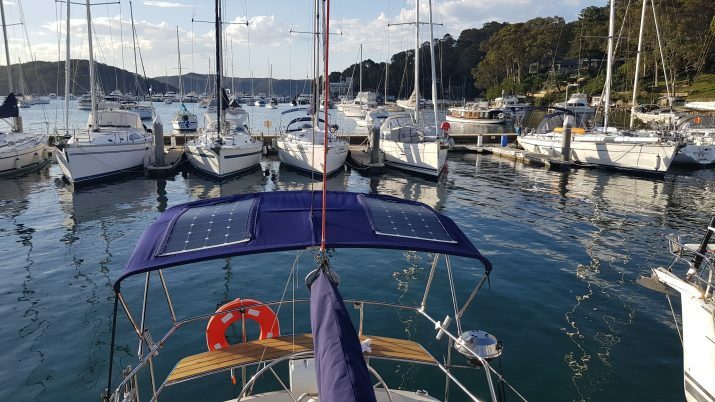 Ocean Covers goes solar ! 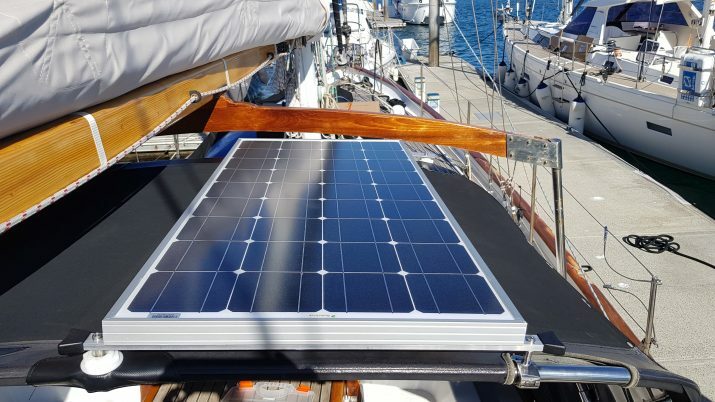 Ocean Covers / news / Ocean Covers goes solar ! 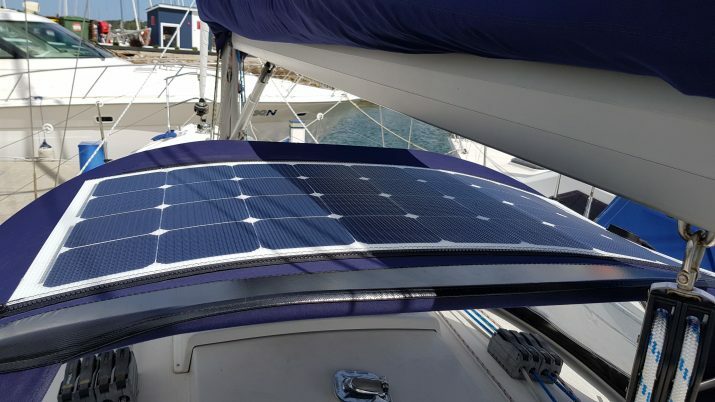 Ocean Covers can now supply a range of solar panels, of different size and power, and attach them to your dodger or bimini. 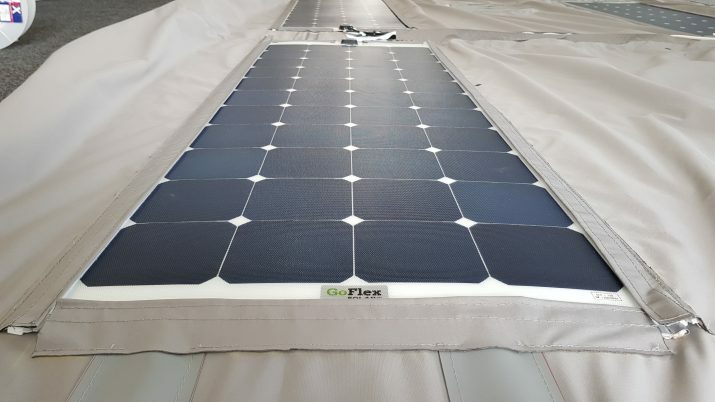 The flexible solar panels are attached to your cover with a combination of zips and Velcro flap, giving you the option to remove the solar panels at any time with ease. The zips are heavy duty marine grade zips. 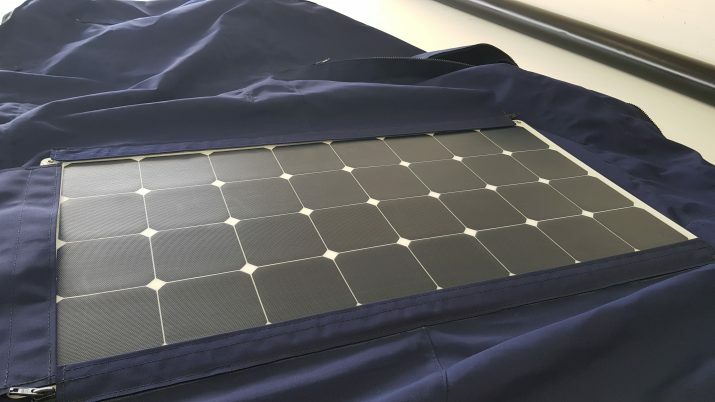 One edge is sewn into the solar panel and the other edge to your cover (you normally have two zips per panel). The anti-UV flap goes over the zip to protect the zip from salt, sun and wind damage. 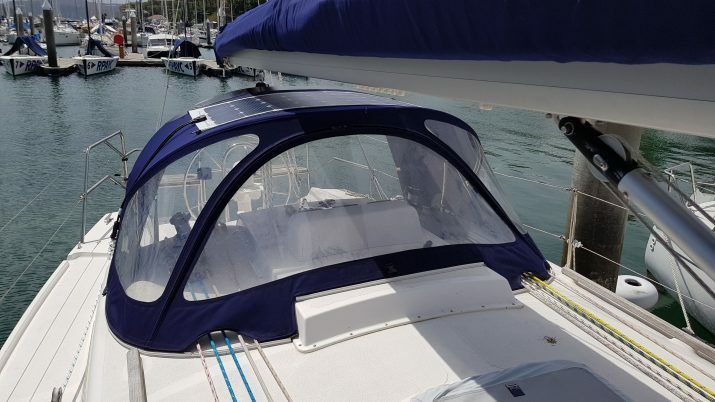 There are different options on how to run the cables down your cover, depending on the specific layout of your bimini or dodger. Please contact us for more details. Marine trimming business based at the Royal Prince Alfred Yacht Club, Newport NSW. We specialise in all marine canvas and upholstery products. Ocean Covers’ committed team provides professional and reliable service from the early stages of the project through the final installation and fit.